Basically Subway is my life. 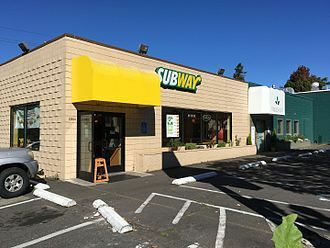 I thought it was McDonalds that had a hold on me, for a couple of years it was, and then I went back to Subway a couple of months ago and there's just no looking back. ou don't just have to have the common toasted cheese sub, you can literally pick to have your sandwich however you want. It's worth it believe me. I have been to Subway too many times to count now. I'm a student here in Leeds, and back home from where I live there was only one Subway near me, and here there are just so many to choose from. Subway has literally changed my life. Well, that's probably over reacting but it's changed my love for sandwiches for sure.